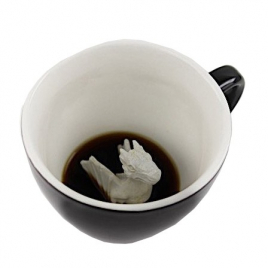 'Creature Cups' is a brand that comes from Brooklyn, New York, USA. It brings us the big game by making creatures emerge in its cup, as and when, drinking your tea or coffee. Imagine the surprise of children when they discover a T-Rex when they have finished their chocolate! 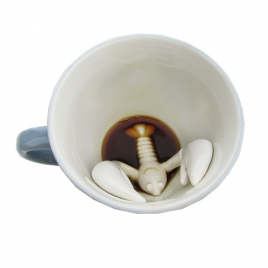 Imagine the surprise of the children, or the older ones, who, when they go drink their hot drink, will gradually discover a T-rex or a lobster in the bottom of their cup: magic moment!